A beautiful hardback book published jointly by Poetry Ireland, Meath Co. Council and the Francis Ledwidge Museum edited by Tom French with an introduction by Gerald Dawe and contributions from 18 other authors with Ledwidge as their subject matter. 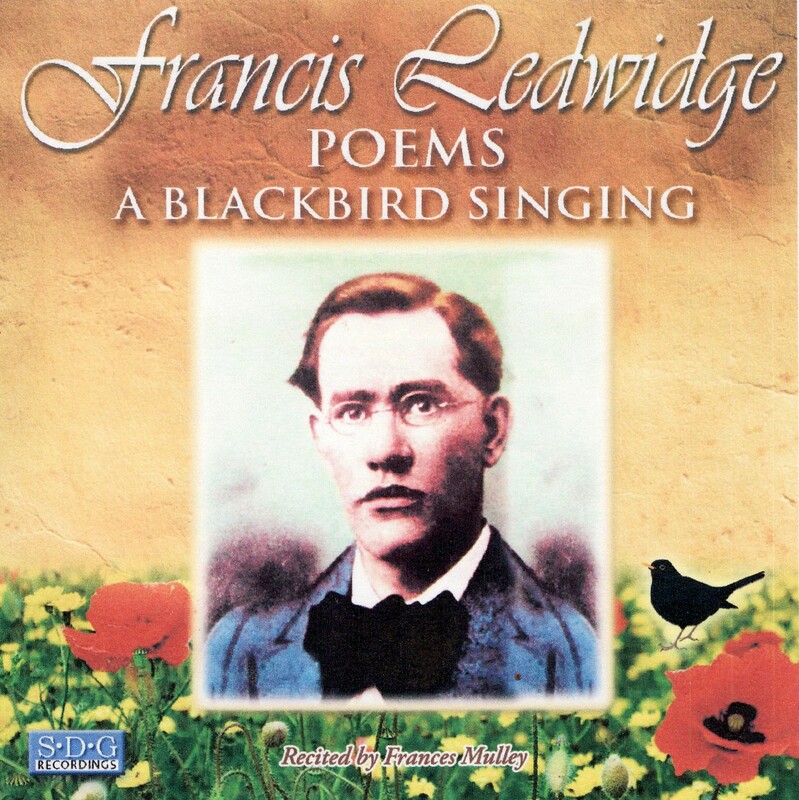 A CD consisting of a selection of 41 poems by Francis Ledwidge contemplating different themes in his life...remembering home...seasons...friends and family...love and loss...1916...and war. Postage and packaging included . The poet lived to see only one volume of his poetry published; Songs of the FIelds. His second volume, Songs of Peace was published after his death in 1917and a third volume, Last Songs, was published in 1918. All three books were published as his Complete Poems in 1919. This new edition of Comlete Poems is edited by his biographer Alice Curtayne and an additional 45 poems are added making a total of 167 poems. All his best works are included in this volume. Alice Curtayne was both a novelist and historian. It is, however, for collecting and preserving so much of the poetry of Francis Ledwidge that she is most remembered and cherished today. This bioghraphy, the result of 8 years of meticulous research, details the remarkable life, love's and tragic death of a gifted Irish poet. This is a beautiful book (hardback copy) with Dermot Bolger's personal selection of Francis Ledwidge Poems. The poems are grouped as published in their original three volumes, Songs of the Fields, Songs of Peace, and Last Songs. Dermot Bolger also writes about his own personal journey in search of Francis ledwidge in Afterword titled Milestone to Monument and not forgeting the wonderful Seamus Heaney introduction at the begining of the book. Twelve soldier poets of the First World War including Francis Ledwidge,Wilfred Owen, Siegfried Sassoon, Robert Graves, Edmund Blunden, and Ivor Gurney. This book celebrates the strength and greatness of the best war poetry written by soldiers serving in the trenches and movingly blends poems with commentary and documents. These are the first lines of the one and only book of prose by Francis Ledwidge. It took nearly 40 years to bring this book from loose staves of unfinished newsprint pages to the book as it now is and was officially launched in the Museum gardens at Janeville ,Slane, on the 100th Anniversary of the poet's birthday 19th Aug. 2017. A must buy for all Ledwidge fans. This hardcover book is a complete accurate record of all casualties in the First World War from County Louth in Ireland. Depicted also are photos and newspaper publications of the deaths, and an inventory of the War graves and Cenotaphs, including the Drogheda War Memorial which has Francis Ledwidge's name engraved on it. 640 pages of legends,history,and lore-magnificent photos and detailed maps-this book is a must buy for lovers of the Boyne, beautifully written and edited by Anthony Holten. 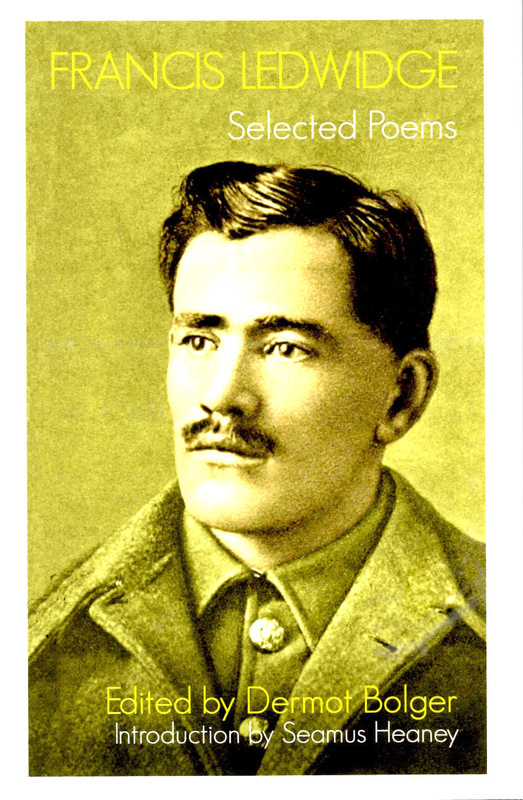 This booklet has various essays and contributions from people in the Slane area on Francis Ledwidge. The full title of this booklet is Appreciation Francis Ledwidge-Who fought in Another Man's War. Alice Curtayne writes an essay on the story of Francis Ledwidge.